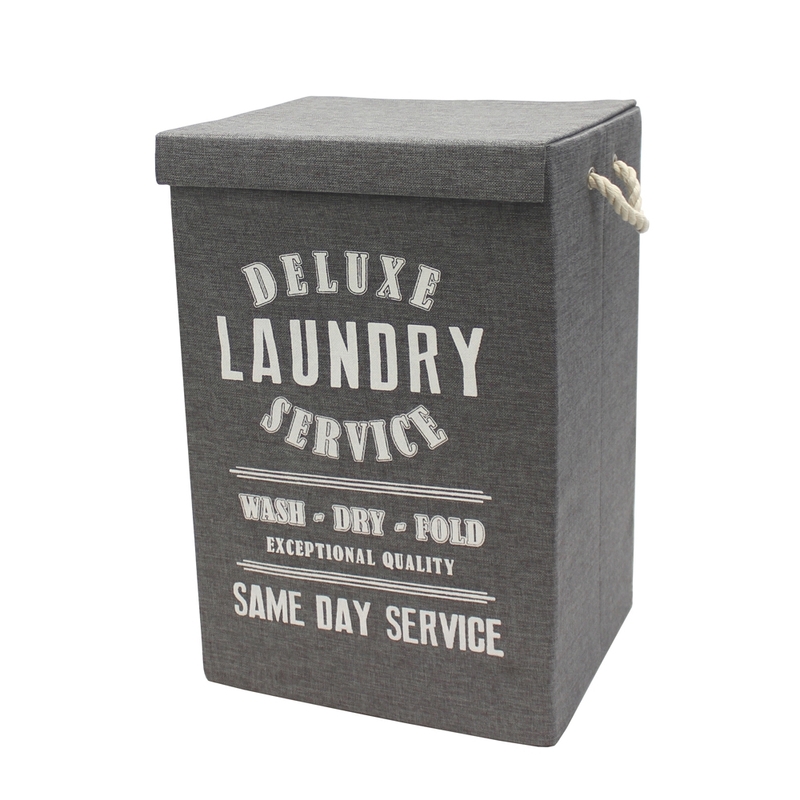 Our foldable laundry hamper has a vintage feel with its printed words and creates a stylish and practical look for your bathroom or bedroom. Providing a neat and tidy storage solution. For added convenience the laundry basket folds flat when not in use. Size: H:61 x W: 40 x D:35cm approx.